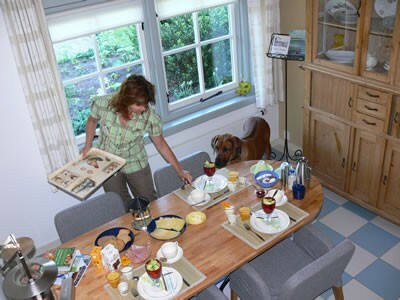 At Annapart you'll get a warm welcome for a relaxing stay in the North of the Netherlands. We invite you to enjoy the typical countryside of the province of Drenthe. 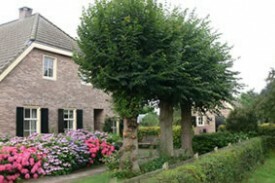 Annapart offers Bed & Breakfast for 4-6 persons in beautiful the rural province of Drenthe. We serve a traditional breakfast with local produce. Evening meals can be used at local restaurants in the region. The accommodation has its own entrance. It's separated from the living area of the owner. Your privacy is guaranteed. 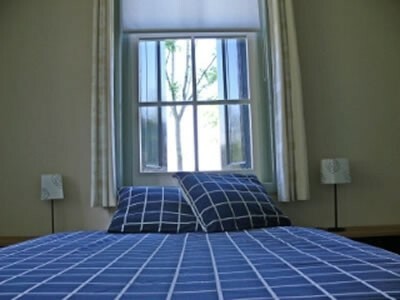 In our acccommodation a sitting-/sleepingroom, bathroom and eatingroom is at your disposal. The sitting-/sleepingroom is seperated by slide panels, that give special charme tot the room. In the bathroom you'll find wash-basins, toilet and shower. The sittingroom gives you a beautiful sight at the landscape. Reservations can be made for at least two nights. Arrival on Friday. Arrival from 15.00 hours departure 11.00 hrs. No experiences yet with Annapart. Be the first! Did you stay in Annapart? Let us know what you thought about it and help others to make the right choice! * I confirm having stayed in Annapart. 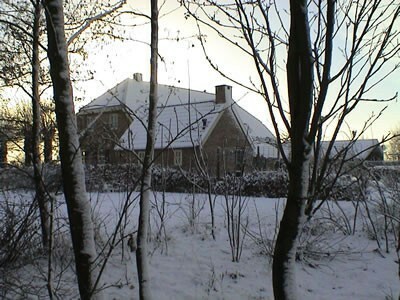 Find other bed & breakfasts in Stieltjeskanaal or all bed & breakfasts in Drenthe.